Camp Fire Golden Empire, founded in 1939, is the Northern California council of Camp Fire USA. Camp Fire USA has actively engaged youth and teens in building essential skills for life for more than 100 years. We’re proud of our heritage of cultivating community building, supporting academic readiness, and embracing diversity. 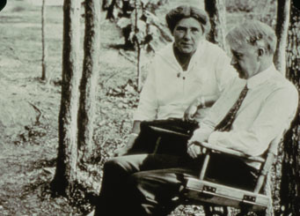 Camp Fire was founded in 1910 by Luther Gulick, M.D., and his wife, Charlotte Gulick. They created Camp Fire to guide young people on their journey to self-discovery. The Gulicks felt strongly that young people should have experiences so they could learn to care for themselves, their environment, and the people around them. Camp Fire has been a leader and innovator from the very beginning. Camp Fire was America’s first nonsectarian and multicultural organization for girls. In 1975, Camp Fire became a coeducational organization, bringing boys and girls together, where they learn to play and work alongside each other and appreciate their similarities and differences in positive ways. Today, our programs serve roughly equal numbers of boys and girls who learn together and work together. In 1988, Camp Fire formalized its long-standing focus on teen service and leadership. Teens in Action was created to seize the energy and ideas of teens to tackle real issues in their communities. Today, over 100,000 teens participate annually in community service projects that develop their skills and make real differences in their communities. In 1997, Camp Fire introduced Absolutely Incredible Kid Day® – a national initiative that has touched millions of youth. Each year, adults write letters to youth, celebrating each child’s unique talents and pledging their encouragement and support. Absolutely Incredible Kid Day takes place annually on the third Thursday of March. In 2010, Camp Fire celebrated its 100th birthday. Camp Fire participants across the country lit a campfire at the same time to honor the legacy of our organization. Camp Fire continues to celebrate its birthday on March 17th every year. In 2012, Camp Fire became the first national youth development organization in the United States to implement the methodology for thriving developed by the Thrive Foundation for Youth (www.thrivefoundation.org). Currently, Camp Fire is working to implement the Thrive methodology across the entire program. Each child as unique and valuable to society. Acceptance of full responsibility and accountability for our actions. Open communication that permits healthy disagreement. Resolving conflicts in mutually respectful ways. Innovation, creativity and reasoned risk-taking. Quality training and commitment to personal and professional growth. Flexibility in adapting to change. Responsible and creative management of all our resources. Collaboration with others to meet the needs of youth. Excellence and continuous improvement in all that we do. Camp Fire is a youth development organization committed to building upon over 100 years of rich history and experience in responding to the changing needs of youth. We believe that through informal education programs “kids can be kids,” have fun, learn to set goals, meet challenges, discover themselves, and become responsible, caring citizens. We are dedicated to the philosophy that staff, volunteers, youth, and families are partners in shaping Camp Fire policies and programs, and that the talents of all are essential to our success. Our communications are direct, open, and respectful. We value our unity and differences, recognizing that there is strength in both. Our pledge to all youth will be shown through continually enhanced programs, a stable and broad funding base, and enthusiastic youth, staff, and volunteers who reflect the rich diversity of our communities. Camp Fire works to realize the dignity and worth of each individual and to eliminate human barriers based on all assumptions which prejudge individuals. Our program standards are designed and implemented to reduce sexual, racial, and cultural stereotypes and to foster positive intercultural relationships. In Camp Fire, everyone is welcome. Click here to read an interview with Cathy Tisdale, Camp Fire’s National President and CEO, discussing Camp Fire’s long history of inclusiveness. (“It Pays to Be Inclusive,” The New York Times, July 19, 2012).